The green fields and the waves crashing against the cliffs, the smoky pubs, a pint of Guinness and a malt whiskey. The sound of Uilleann pipes, fiddle and whistles blending with guitars and accordion ? The sound of traditional music or dance ? Ireland has so much to offer in music, culture, the land and of course the people. It has been 32 years since his 1st victory with the aptly titled “What’s Another Year”, 25 years since “Hold Me Now” and 20 years since “Why me”. Over this time he has consistently appeared on stages all over the world. Others came and went – he stayed ! His versatility as a singer /songwriter, his distinctive voice and his genuine talent are as responsible for his success as is his honest down to earth personality. He is not someone who puts on a smile or a friendly face just for television but someone who genuinely loves and respects his music and his audience. The fact that he has never changed is surely due in no small measure to his upbringing and a deep attachment to his Irish home. 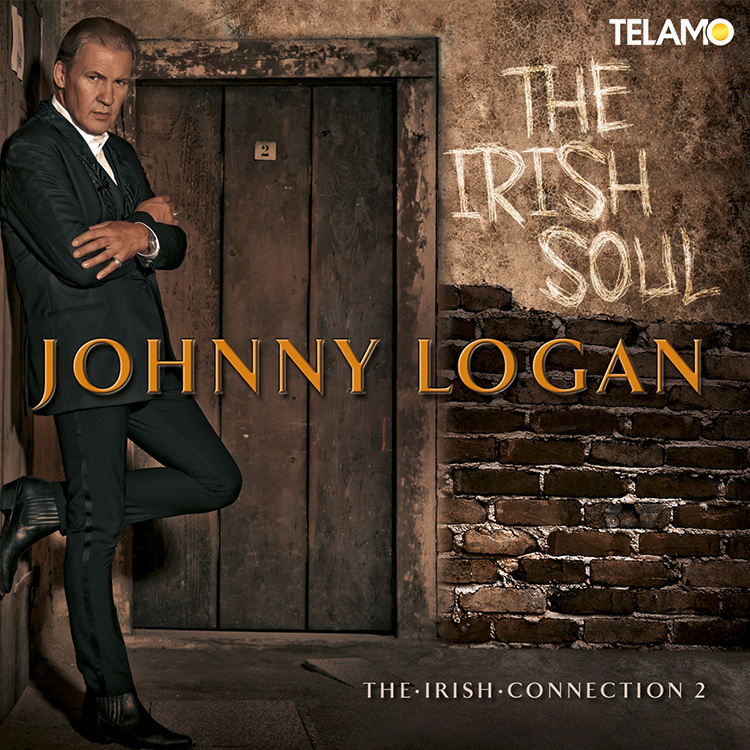 In his new cd „The Irish Connection 2″. ( “The Irish Soul”, ) he returns again to his roots. It’s 5 years on now and once again he has decided to revisit his musical roots with “The Irish Connection 2”. His choice of songs this time is chosen from the music and artists that have stayed with him over the years and it reflects the Irish music of today, as well as yesterday. Songs like “Irish Heartbeat” by Van Morrison and “Fairytale of New York” by Shane McGowan are blended with the number 1 hit, “Galway girl” by Steve Earle, Alongside classics such as “Lannigans Ball” and “The Holy Ground” they are given a modern, live treatment in the arrangements. “Dearg Doom” by Horslips, he used to dance to when it was first released in the early 70’s. The beautiful haunting “She Moved Through The Fair” which he learned as a child from his father, the internationally renowned Irish tenor Patrick O’Hagan is there, as is Brendan Behan’s “The Old Triangle”a tribute to the Dubliners, who he’s known from his childhood days in Howth, a fishing village on the coast, just outside Dublin. As a teenager he used to play Matty Groves in the Irish pubs for tradional music followers, as well as for tourists and on this new cd he has taken the opportunity to revive his love of the song and the arrangement he did all those years ago. The other 2 songs he has written himself.”Independant Man” is an autobiographical look at certain aspects of his life. Lastly there is “Ellen’s Song”, a tribute to his mother who passed away in 2011. Her 2 favourite songs to sing at a party were “The Spinning Wheel” and “The Dublin Saunter”, both are given a mention in the song as are the fishing village Howth and Killkenny, the town/city where his mother was born. Alongside Boe Larson his producer, he, acting as executive producer has come up with a collection of songs which he hopes will make you laugh, cry, dream and dance, while no one is watching. Full of atmosphere and emotion The Irish Connection 2 stands out as tribute to a small country, with a wonderful people, full of heart and soul. I know how much that broke your heart. In that light beyond the dark. When I first found you. On a grand soft day – I – ay. And I ask you friends, what’s a fella to do ? But I ain’t never seen nothing like a Galway girl – Hey ! Broke so many promises, on dreams I couldn’t sell. You share, with your own ones. I see you there, standing on your own. Why wait any longer for this moment to begin, we both know that it’s right. Six long months I spent in Dublin, six long month doing nothing at all. Nolans and Dolans, alle the O Grady’s, courting the girls and dancing away. The boys all said, they were sure she was painted, she’d taken a small drop too much, I suppose. Her boyfried Ned Morgan, powerful and able, when he saw his darling stretched out by the wall. Maloney the piper was near getting smothered, they leapt on his pipes, bellows, chanter and all. Saying „How do you like my feather bed? Who lies in my arms asleep“. „Get up as quick as you can! I can’t get up for my life! „To put these lovers in!